For nearly 150 years Campbell River has been known for its outdoor recreation. Visitors from afar encouraged others to come by writing effusively about the sports fishing, hunting, and of course the natural beauty found here. This is still how we market Campbell River to the world today. Today we have easy access to these beauty spots, Elk Falls Park is only a short five minute drive from downtown. But at one time, reaching these areas was a feat in itself. Initially, not even Campbell River could be reached by road! The road linking Campbell River to Courtenay and the rest of the South Island was not completed until 1919. 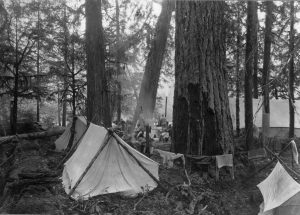 In the 1920s people from as far away as Courtenay began clamouring for formal park status to protect the woods around Elk Falls from logging. 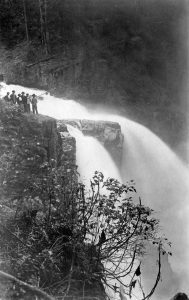 Although not formally declared a provincial park until 1940, many park-like improvements were made before that date. Many of the trails still in use today were initially developed in the 1930s during the Great Depression as make-work projects for the unemployed. 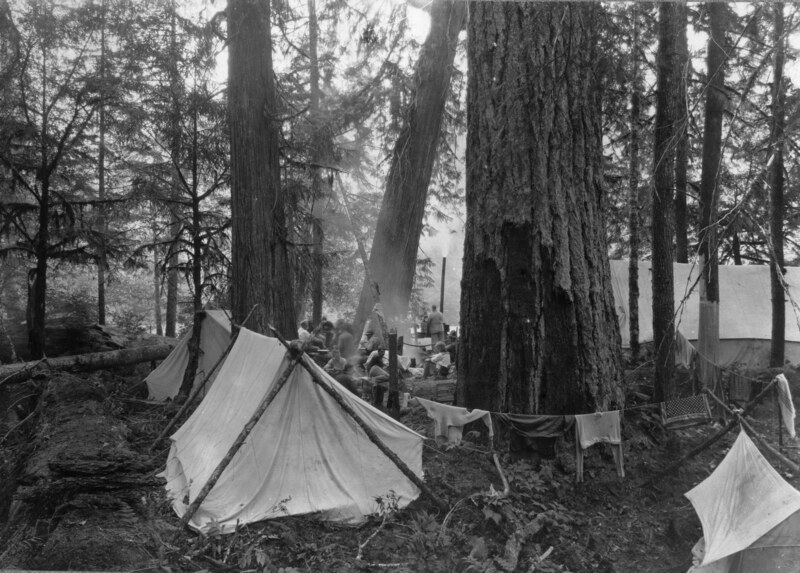 Although Strathcona Provincial Park was established in 1911, after the Discovery Expedition completed its survey, there was no road access to the centre of the park at Buttle Lake until the early 1960s. Work began on the road opening up the park to visitors in the years immediately following its establishment, but the First World War stopped its progress in 1915. At that time a vehicle road was completed as far west as Forbes Landing Lodge on Lower Campbell Lake. People wanting to enjoy the beauties of the park itself had to hike from there over a pack-trail to Buttle Lake or canoe the network of lakes and rivers. For many years, locals petitioned for the road to be completed to open up the park for recreation. However, in the end, it wasn’t the province, but a combination of logging operations, the BC Power Commission, and later Western Mines who developed the road network to Buttle Lake. Today Strathcona Park has other features making recreation more accessible, including developed trails, campgrounds and picnic sites. 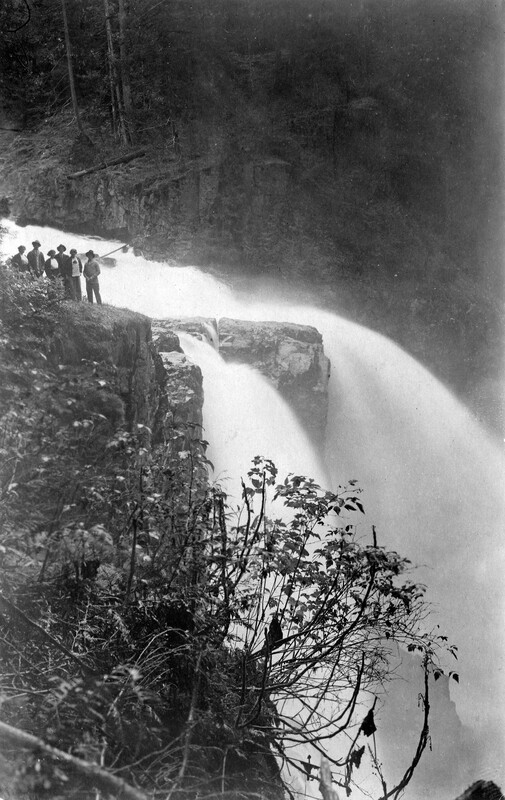 To see more photographs of the early years of Elk Falls and Strathcona Parks be sure to check out our website http://campbellriver.crmuseum.ca/ or come in to our archives, which are free to the public and open Tuesday-Friday from 1pm-4pm or by appointment.